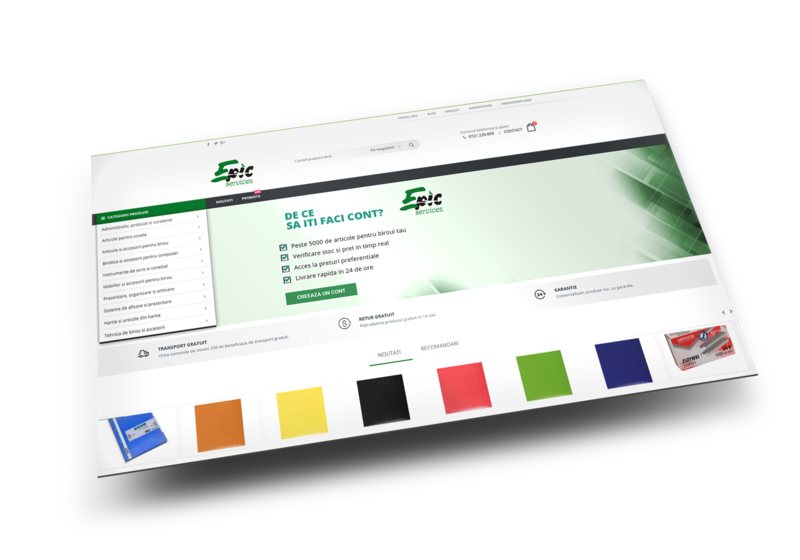 Epicservices.ro is a premium B2B store / platform, that activates in the office consumables and equipment niche. 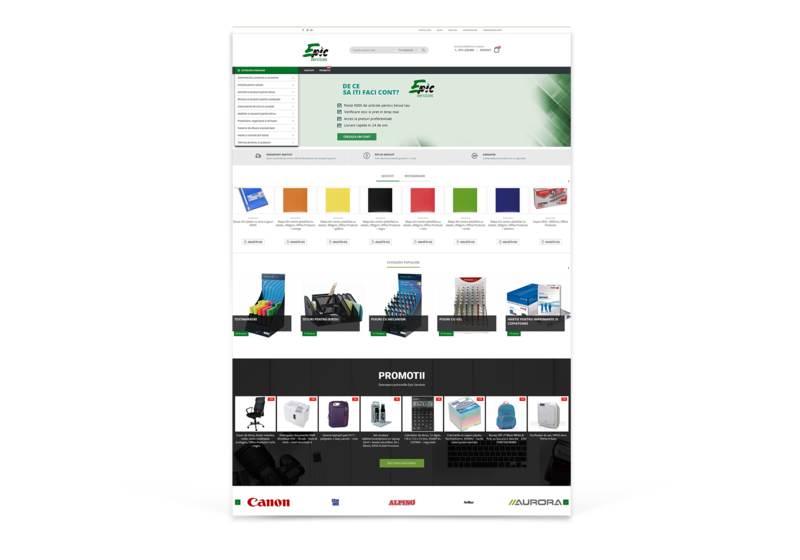 Our focus was to deliver a faster and easier way for their partners to place orders and to find the products they need. Through an intuitive platform and efficient design we managed to deliver that and to ease the store owner’s work. The store comes integrated with a series of specific functionalities in order to ease the client and the owner’s ease of use. All of them, specific to the B2B market. Auto sync with the supplier stock through XLS/XML/CSV/TXT feeds with numeric stock display. Mobile first approach to a B2B market that is always scaling. The store looks great on any screen and resolution. Intuitive navigation and fast loading times, along with a set of specific features, boost the ease of use of this B2B store. Build for the specific requirements of a competitive B2B market, the store has the features it needs to overcome any obstacle. The B2B store comes with lots of features made to ease the management and the order process. Built with ease of use in mind the WooCommerce-based platform delivers the performance required in a fast-paced market. B2B is our thing. We can deliver an efficient solution for your B2B business and for your specific requirements. Let's talk business.